Guwahati, January 28: Eleven years down the line, the state of Assam witnessed a serial bomb blast killing at least 90 people in the year 2008. 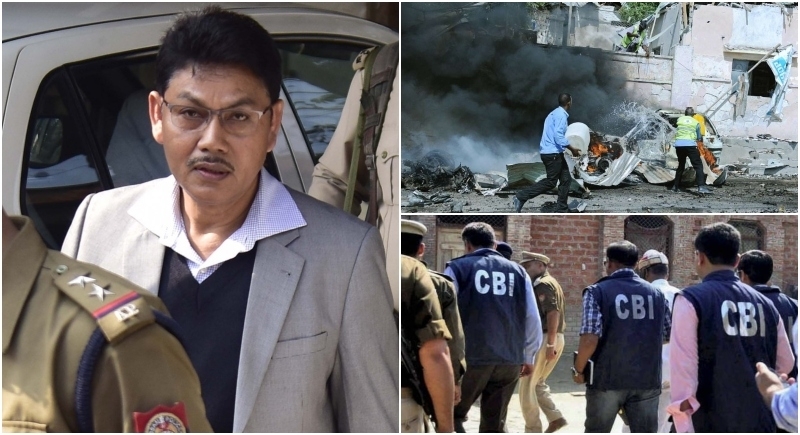 Giving justice to all, CBI Special Court on Monday convicted the chief of the National Democratic Front of Bodoland (NDFB) Ranjan Daimary and 14 others. The CBI Special Judge Aparesh Chakraborty convicted Daimary and 14 others under various sections of the IPC. The quantum of the judgement, however, will be announced on Wednesday. Besides Daimary, the others convicted are George Bodo, B Tharai, Raju Sarkar, Nilim Daimary, Anchai Bodo, Indra Brahma, Loko Basumatary, Khargeswar Basumatary, Prabhat Bodo, Jayanta Bodo, Ajay Basumatary, Mridul Goyary, Mathuram Brahma and Rajen Goyary. The serial blasts were triggered by the NDFB on October 30, 2008 in Guwahati, Kokrajhar, Bongaigaon and Barpeta. In October 2008, at least 90 people were killed and over 300 were injured in multiple blasts in Assam. The accused rigged two Maruti 800 cars and motorbikes with explosives and parked them strategically at nine locations. The blasts were triggered in a synchronised fashion across Assam before noon. The first explosion occurred hardly 300 metres from then Assam Chief Minister Tarun Gogoi’s office. Around the same time, bombs also went off in crowded marketplaces of Kokrajhar, Bongaigaon and Barpeta districts in lower Assam.